We present you with selected products of our offer. These are solutions that were built and tested at ours and tailored to a quick deployment at your enterprise. The product is aimed to companies and institutions that conduct (or are going to do so) activity of a IaaS (Infrastructure as a Service) provider. Also, forCloud constitutes an ideal platform for those who want to use cloud computing in their activity. It is based on an open-source software so Customers pay no license fees. This enables to decrease the costs of maintaining the environment and provides a possibility of proposing competitive prices in one's own provider offer. 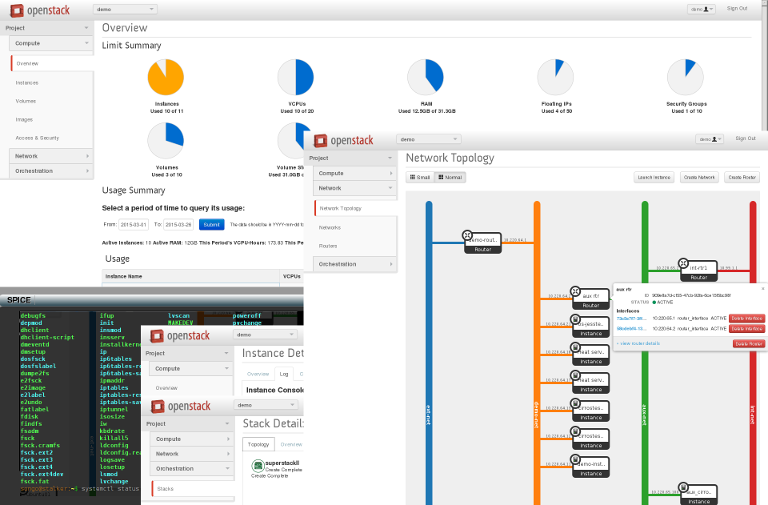 Public or private cloud based on customized OpenStack platform. Complete, tested solution installed on the Customer's servers by the forCore team. Perfect for providing multi-tenant services in the IaaS model. Low hardware requirements – flawless functioning on any server platforms and inexpensive block devices. Very good scalability – new services, additional storage and compute nodes can be added on the fly, if needed. Possibility of using various virtualization mechanisms, including software containers based on Docker platform. Freedom to shape storage policy by tailoring the solution to the Customer's opportunities and needs. Support for Ceph – a scalable, distributed object store and file system. Possibility of maintaining whole solution by the forCore team. Our Customers will get a tailor-made product, a one completely tailored to a particular environment. At customer's request, apart from the product support service, we may also monitor the operation of your IT infrastructure. 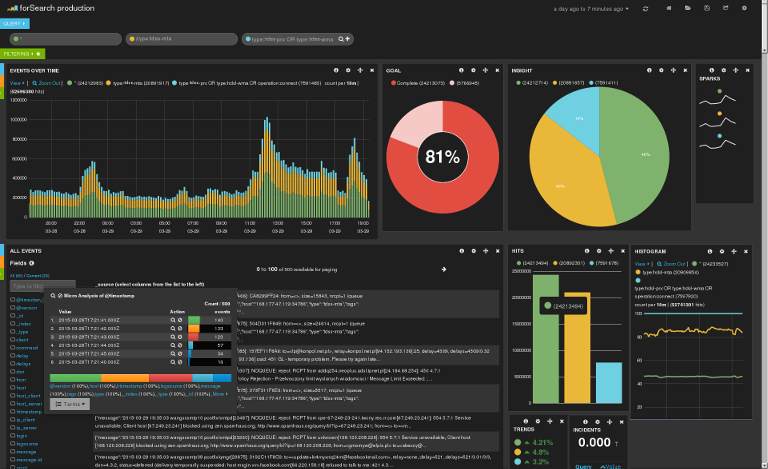 Modern monitoring system built on Zabbix – an advanced, free and open-source platform. Expanded system of reporting anomalies with a complex conditions for triggering alerts. Support for high number of devices and applications operating on variety of hardware and operating systems. 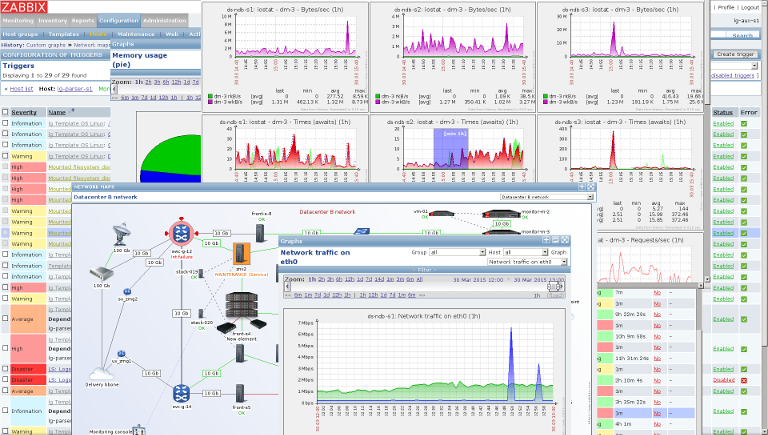 Wide variety of monitoring modes: simple external tests, SNMP monitoring, trap mechanism and dedicated agent operating in active, passive or hybrid mode. Hierarchical architecture that enables to divide the monitoring into logic areas operated by dedicated auxiliary servers or autonomous monitoring subsystems. Tools facilitating realization of tasks concerning capacity planning and modules for generating reports for technical and business purposes. Convenient WWW interface enabling to view and configure the monitoring in different locations. Ability to send information on events via email, SMS and instant messengers (XMPP/Jabber, Skype etc.). forSearch product is intended for entities, for which data are crucial for the functioning, development or earning reasons. This tool is ideal for companies that have a policy of Business Intelligence (data – information – knowledge). It can also be used in data warehouse/big data applications. Our solution can successfully support: analytical processing, data archiving, analyzes of effectiveness or it can be a support for CRM systems. forSearch gives the opportunity to implement the data monetization to the enterprise, i.e. use them for commercial purposes. Effective and reliable data indexing system. The main component of this system is a powerful search engine – Elasticsearch. Rapid full-text search, even for large amounts of gathered logs. Data indexing and reporting of anomalies in real time. Possibility to use any data sources, support for a wide range of applications and IT systems. Option of the guaranteed delivery of logs and their cryptographic protection. High reliability by eliminating single points of failure. Module for generation of graphs and statistics. Scales easily – it can be expanded when the amounts of processed data increases. The entire offer is covered by a full technical support, realized in a convenient way for the client by a team of experts from the forCore. We invite you to contact our company by contact form. We are ready to answer all of your questions about our products and services with a pleasure.